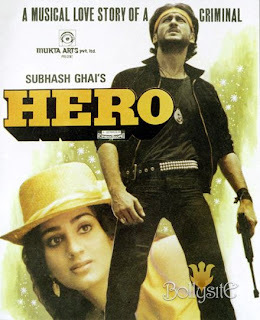 In 1983, Subhash Ghai launched Jackie Shroff as the lead actor in the movie Hero.The film was declared "Super Hit" on the Indian Box Office. Jackie Shroff became a huge star after the release of the film. He suddenly came in demand after the film's release and thus began a long association with Subhash Ghai. It was Subhash Ghai who gave Shroff his screen name "Jackie". Even today Jackie Shroff is referred as "Jackie Dada", his character's name in the movie Hero.